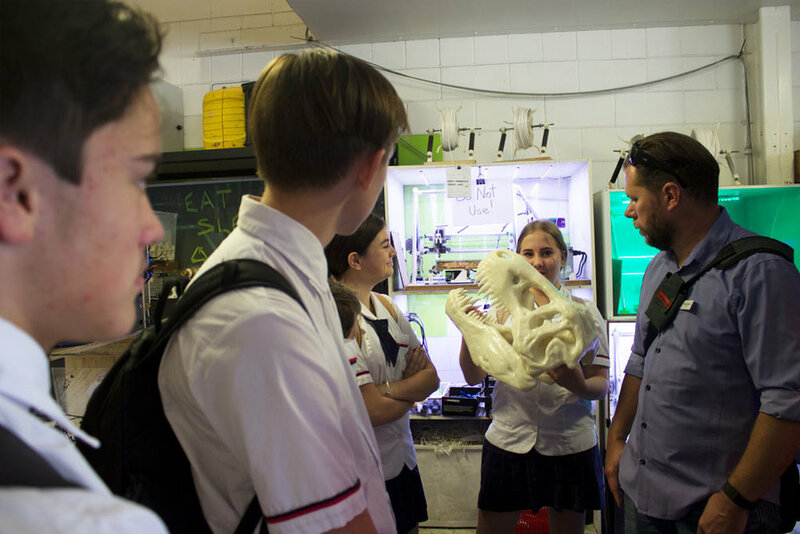 A group of Pimpama State Secondary College Students working to improve social connectedness and reduce waste entering landfill visited Substation33 this week. 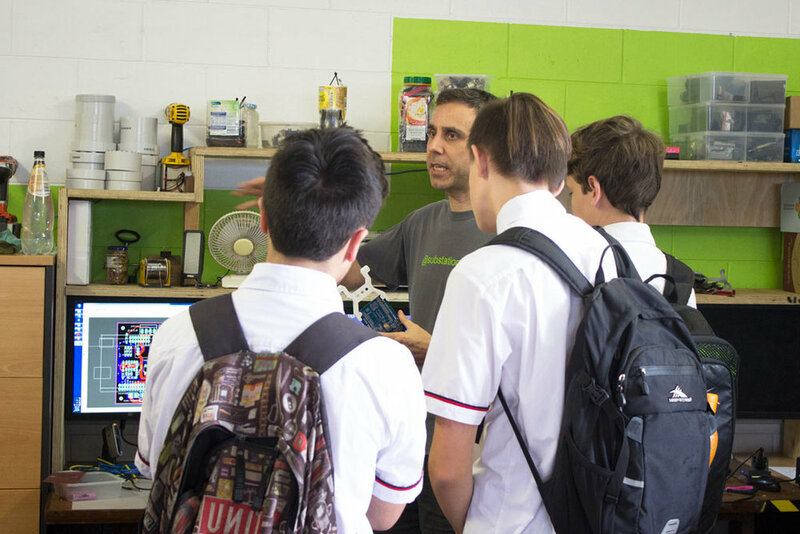 Fix-ed students and staff members Stephen Robinson and Dwayne Scicluna got a tour of Substation33's impressive facilities to learn more about repair, recycling, design and social enterprise. They left feeling inspired from an array of projects and the possibilities that can arise from reusing waste for innovative purposes. 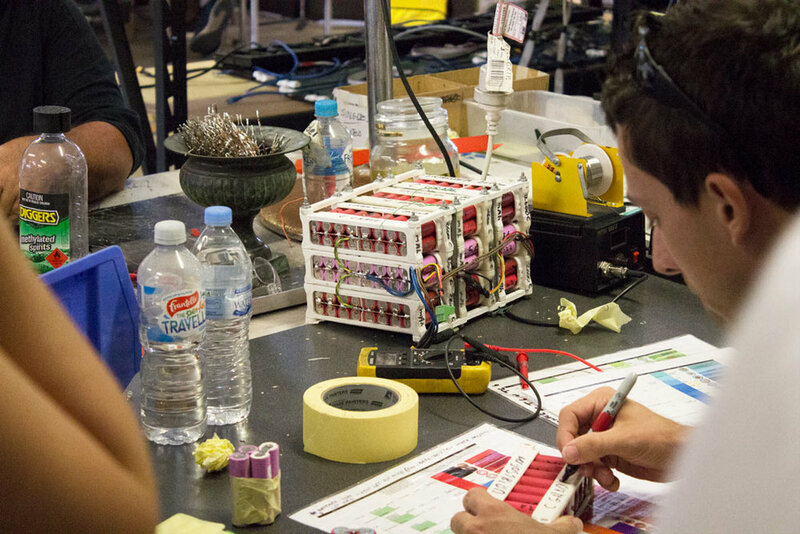 Substation33 has started an Innovation Lab and has designed and developed a number of products for commercial, social and educational purposes. These included Flooded Road Smart Warning Signs, Electric ‘e-bikes’, 3D printers, a vertical garden monitoring system, to name just a few. These projects provide an opportunity for up-cycling and e-waste diversion from land-fill, which has environmental benefits, and skills development and transfer between professional mentors and volunteers, students and people seeking to return to the workforce, which provides social and economic benefits to the community. We look forward to collaborating further with Substation33 in the future to turn community problems into innovative solutions. You can listen to a podcast with Substation 33 Founder Tony Sharp to hear more about their projects on Impact Boom.